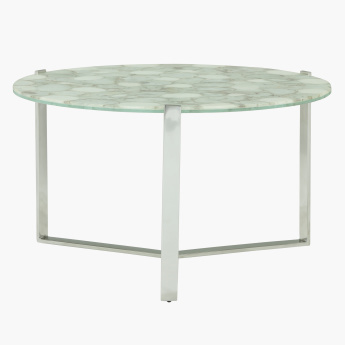 Stack all the refreshments on this coffee table and let your guests enjoy a great evening with some snacks and conversations. 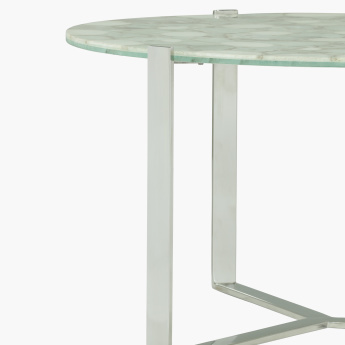 It has strong metallic stands that give the table a fine balance and a striking design that gives your room an elegant appeal. The product images have props used for illustrative purposes. 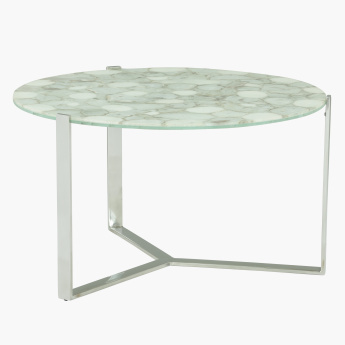 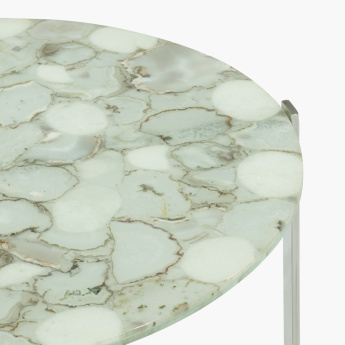 The product is Agate Round Coffee Table with Sleek Frame.